But don’t get the wrong idea about Showtime’s daring comedy series Kidding (Sunday at 10 p.m. ET). The star of public television’s “Mr. 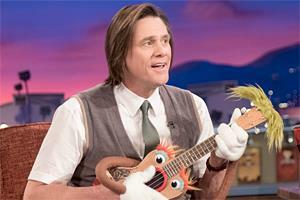 Pickles’ Puppet Time” is not an on-air poser whose gentle, kind demeanor vanishes as soon as he’s off-camera. 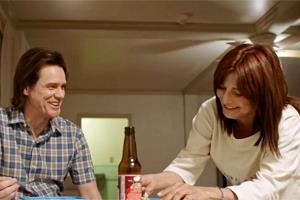 In real life, Jeff Piccirillo (Carrey) painfully strives to always do the right thing. It’s just that those around him aren’t fully cooperating. He’s estranged from his wife, Jill (Judy Greer), whom he desperately wants back. His resentful surviving twin son, Will (Cole Allen), more or less sees him as a joke. And his father, Seb (Frank Langella), the executive producer of Jeff’s sing-songy show, is a marrow-sucking authoritarian. Some of Carrey’s very best work as an underrated actor came in 2004’s oft-surreal Eternal Sunshine of the Spotless Mind, which was directed by Michel Gondry. 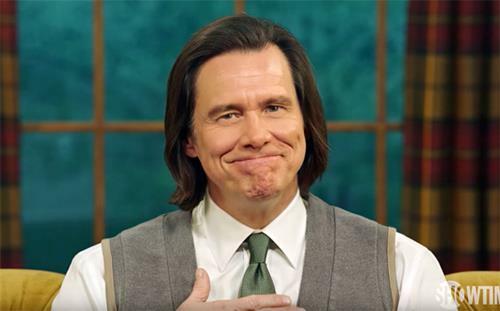 Kidding is their first collaboration since then, with Gondry, a co-executive producer who also directs the first two half-hour episodes. Kidding also stars Catherine Keener (right) as Jeff’s sister, Deirdre, who’s in charge of his show’s puppet department. Her daughter, Maddy (Juliet Morris), is a handful and becomes even more so after witnessing her father, Scott (Bernard White), in a starkly compromising position.